The core of Dungeons and Dragons is storytelling. Students create a story together, guide their heroes through quests for treasure, battle deadly foes, attempt daring rescues, experience courtly intrigue, and more. Students also explore the world of Dungeons & Dragons through the novels written by its fantasy authors, while engaging board games and immersive video games. Storytelling is one of the most powerful ways to activate the students’ brains. When students tell stories—or experience them—their brains must process language, the cause and effect of events, and relate it to their own pre-existing experiences. While students are playing a role-playing game, their brain is firing on all cylinders. Behind the fantasy adventures, the Club is a fun social gathering that requires students to think on their toes, solve problems, be creative, and ultimately learn how to become a team player. The game is a great apprenticeship for a budding author. 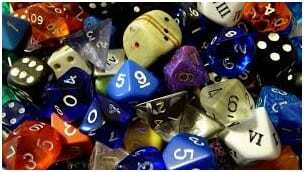 The more fundamentally, you cannot play Dungeons and Dragons without reading. The Club meets once a week throughout the school year.